The electric guitar is the most iconic instrument of the 20th century. It has been strummed, plucked, licked, humped and thrashed by guitar gods and mortal imitators alike. 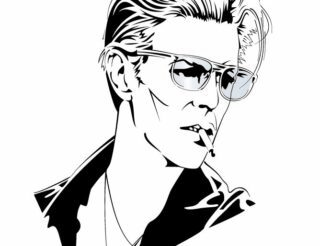 It also represents the confluence of technological and social change, a symbol of rebellion, revolution and rock ‘n’ roll. But what is behind this beloved instrument? Let me unleash my inner nerd and introduce some of the most important and influential guitars to have shaped music history. With its simple, no-frills design, and unashamedly mass-produced, the Telecaster may seem unspectacular today. 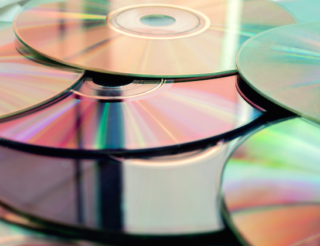 But when it was first released in 1950, its impact was revolutionary. By cleverly re-thinking every aspect of traditional guitar making to suit the mass-production age, Leo Fender was offering a great-sounding guitar that anyone could afford. y to be painted immediately after. 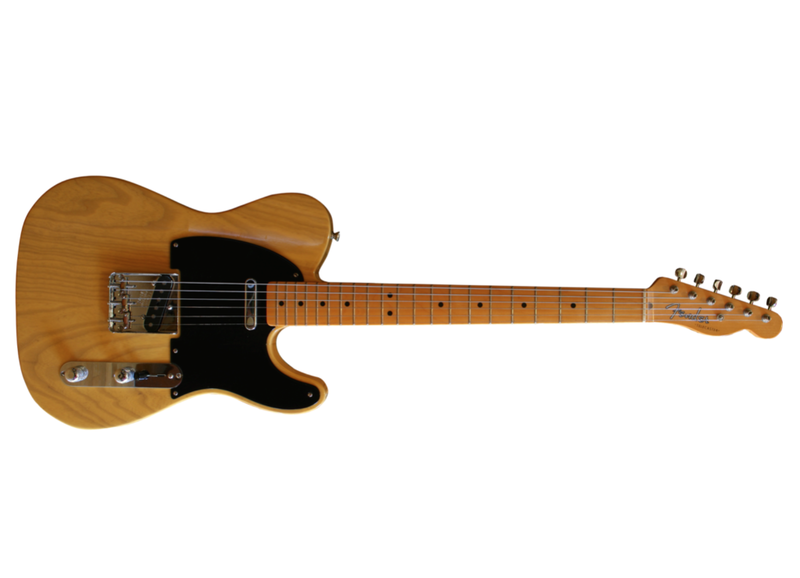 The original Tele eliminated the need for a separate fretboard by making necks entirely out of Maple, which is hard enough to withstand the abrasive effect of the metal strings. A “straight” headstock meant that the neck could be made out of a single piece of wood – all this reduced production costs, and inadvertently added the brightness and clarity to the sound that Fender became known for subsequently. (Necks had been made of Mahogany, whose larger cell-structure reduce some of the higher over-tones). And instead of glueing the neck to the body, as was common, Fender bolted it securely in place – saving time and facilitating repair work. 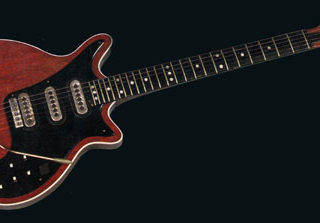 ster had a larger pickguard, onto which the pickups could be pre-assembled; similarly, the electronics were mounted onto a control board which was then easily screwed onto the body. Furthermore, the Telecaster’s tonal characteristics were excellent! The combination of Ash and Maple gave a crisp sound, the solid body accentuated brightness, while the longer scale-length and slanted bridge pickup also favor the higher frequencies. Two pickups also gave guitarists a choice: the classic Telecaster Twang on the bridge pickup, or warmer, bluesier tones on the neck pickup. The Fender Telecaster was cheap, but with tons of character. It was endorsed by Muddy Waters and adopted by James Burton (who played with Elvis Presley); soon Keith Richards, Eric Clapton and Jimmy Page were playing Telecasters all over London. it remains one of the great guitars to this day, mainly associated with more earthy-sounding genres like Punk-Rock, but also seen in Blues and Country. All this thanks to its avant-garde industrial design, which reduced production costs enormously without compromising quality. My next installment takes a closer look at the Gibson Les Paul. Did you know that this guitar was initially unpopular? Find out how the LP became the monster of Rock ‘n’ Roll. Most def one of the greatest guitars of all time. it has a sound all its own. That tele twang. So awesome for country, rock, and Blues. really every genre of music has been played on a Tele. It just a simple, plain, Masterpiece……. The Telecaster is my favorite guitar ever! It is super versatile but what I love most about the tele is its body. The telecaster body fits my body like a glove and feels amazing.